REVEAL Lung Nodule Characterization is a cancer-specific blood test that may aid clinicians in characterizing indeterminate pulmonary nodules (4-30mm) in current smokers aged 25 years and older. This simple blood test measures unique biological markers known to be associated with the presence of lung cancer. REVEAL Lung Nodule Characterization represents new, non-invasive technology to aid clinicians with the evaluation of indeterminate pulmonary nodules (4mm-30mm) in current smokers aged 25 years and older. Test results are called a REVEAL Lung Nodule Characterization Score and are presented on a scale from 0 to 100 with a single cut point at 50. 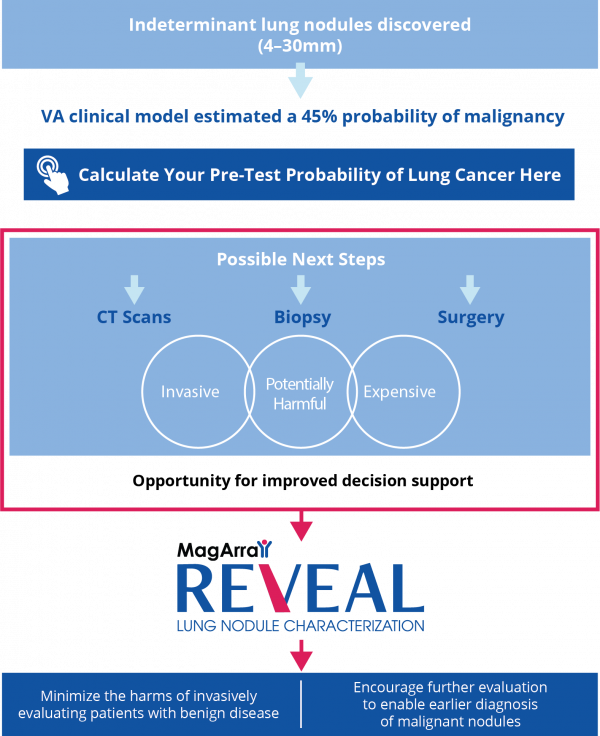 The REVEAL Lung Nodule Characterization Score is calculated using an algorithm based on the measurement of 3 clinical factors and 3 blood proteins associated with the presence of lung cancer. REVEAL Lung Nodule Characterization results combined with other clinical risk factors may aid in the decision to perform a biopsy, or to consider routine monitoring, by providing cancer-specific, clinical insight into a patient’s risk. REVEAL Lung Nodule Characterization is a risk assessment tool, that is to be used only in conjunction with standard clinical assessments. The test is not intended as a screening or stand-alone diagnostic assay. Ask your physician about REVEAL Lung Nodule Characterization today. 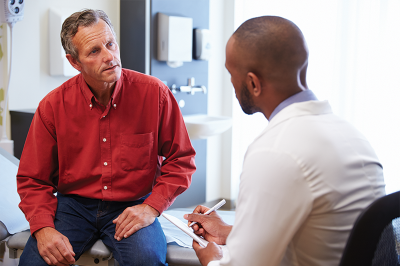 Are you a physician looking to better assess your patient’s risk for lung cancer? Call us at 408-753-6429 or email us at clientservices@magarray.com for more information, or order REVEAL Lung Nodule Characterization today.